'S e 22 an t-Samhain an 326mh latha dhen bhliadhna a rèir a' Mhìosachain Ghriogaraich (327mh ann am bliadhna-leum). Tha 39 làithean air fhàgail gus deireadh na bliadhna. 1975 - Thoisich rìoghachadh Juan Carlos I na Spàinne. 1991 - Chaidh am film Beauty and the Beast fhoillseachadh le Walt Disney Feature Animation. 2005 - Chaidh Angela Merkel a thaghadh mar Seannsalair na Gearmailt. 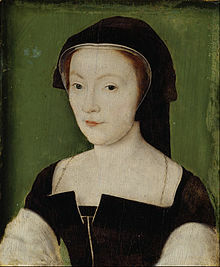 1515 - Màiri de Guise, bean Seumas V na h-Alba agus màthair Màiri I, Bànrigh na h-Alba. 1828 - Octavia Carlén, ann an Skara. Sgrìobhadair às an t-Suain. 1869 - André Gide, ann am Paris. Sgrìobhadair Frangach. 1890 - Charles de Gaulle, ann an Lille Ceann-suidhe na Frainge. 1988 - Fuad Alakbarov, ann am Baku. Neach-poileataigs Albannach. 1930 - Marsaili NicUalraig Fhriseal, seinneadair à Peairt. 1963 - John F. Kennedy, 35mh ceann-suidhe de na Stàitean Aonaichte. Air a tharraing à "https://gd.wikipedia.org/w/index.php?title=22_an_t-Samhain&oldid=521850"